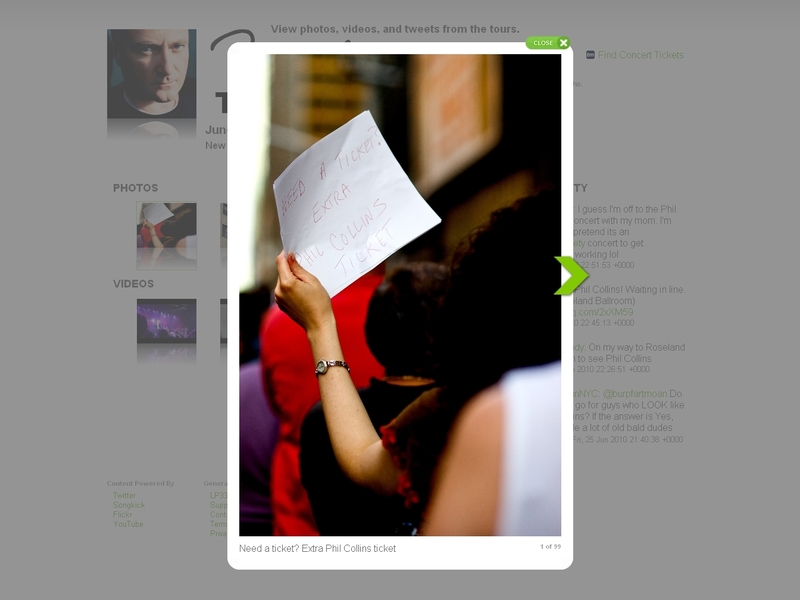 Concerts and other live events now generate an online stream of fan photos, videos, and tweets. The popularity of smartphones has strengthened this trend. I led the LP33 development team in the creation of the LP33 Tour Book to capture these media streams and present them in the context of an event date. The photo stream begins with images of anxious fans seeking last minute tickets. Photos and videos visually progress through the duration of the show. Tweets express fan anticipation and excitement on the day of the concert. Fans could share show dates using Facebook, Twitter, and Google Buzz buttons. Fans loved it! 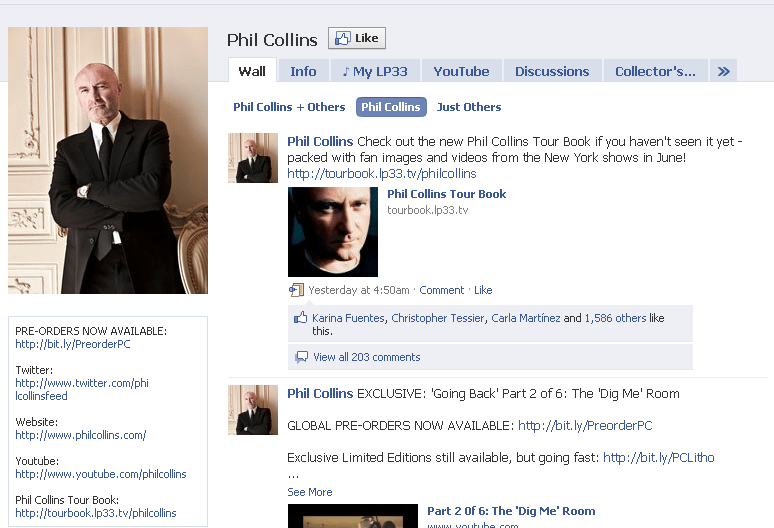 See the 1500+ Facebook “likes” for the Phil Collins Tour Book in the screenshot below. 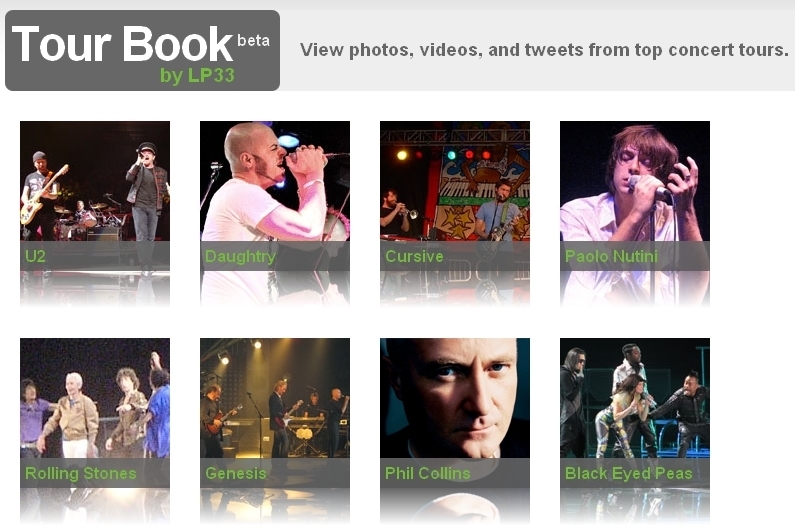 The LP33 Tour Book was optimized for use on the iPad and other large multi-touch devices. This video demo highlights tour book pages from the June 25, 2010 Phil Collins concert along with a Genesis show in 2007 and an early 1973 performance.